At $999, the iPhone X is one of the most expensive phones in the market. 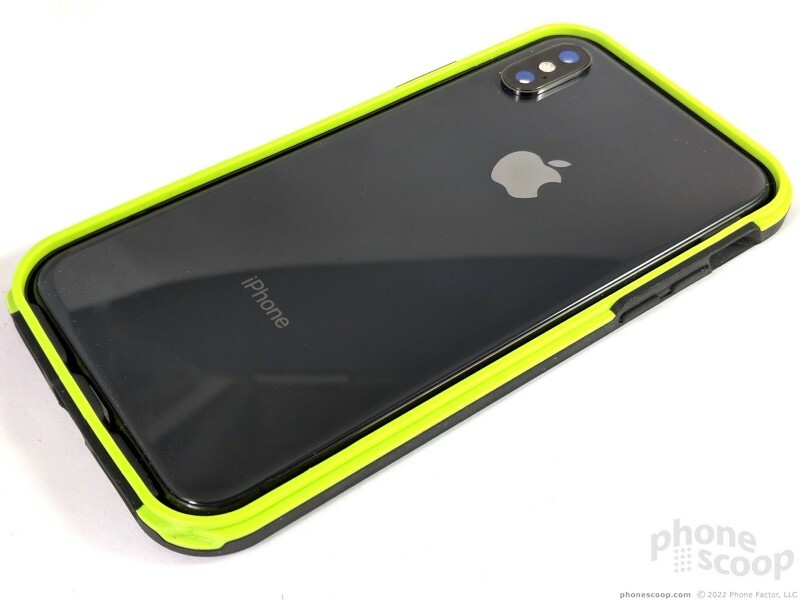 With glass on the front and the rear, it more or less demands some form of protection. Those who refuse to subscribe to AppleCare will find themselves reaching deep, deep into their pockets to replace a cracked glass panel on Apple's top phone. 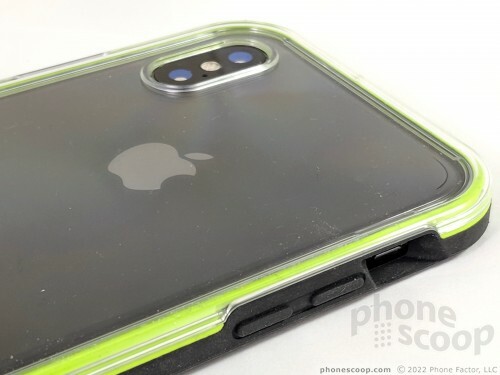 We strongly recommend that iPhone X owners protect their pricey hardware with a case. 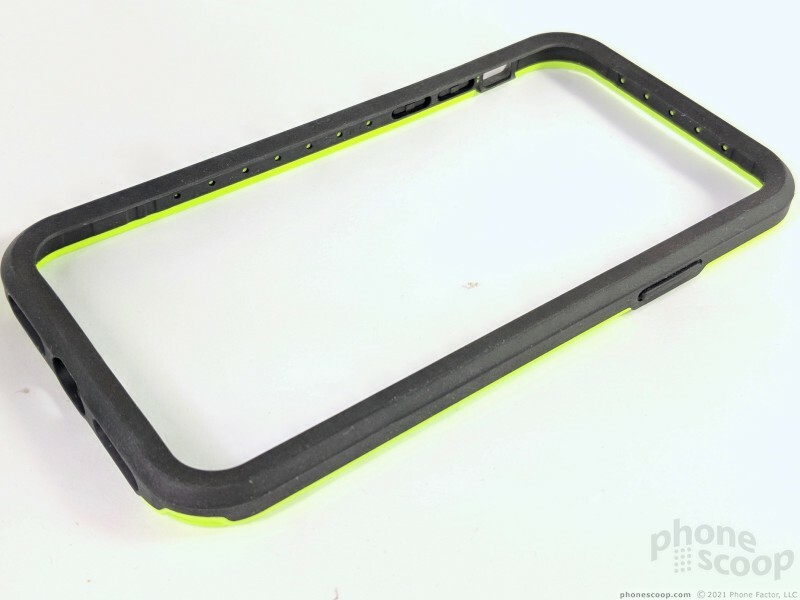 One of the latest cases to reach the market is the Slam from Lifeproof. 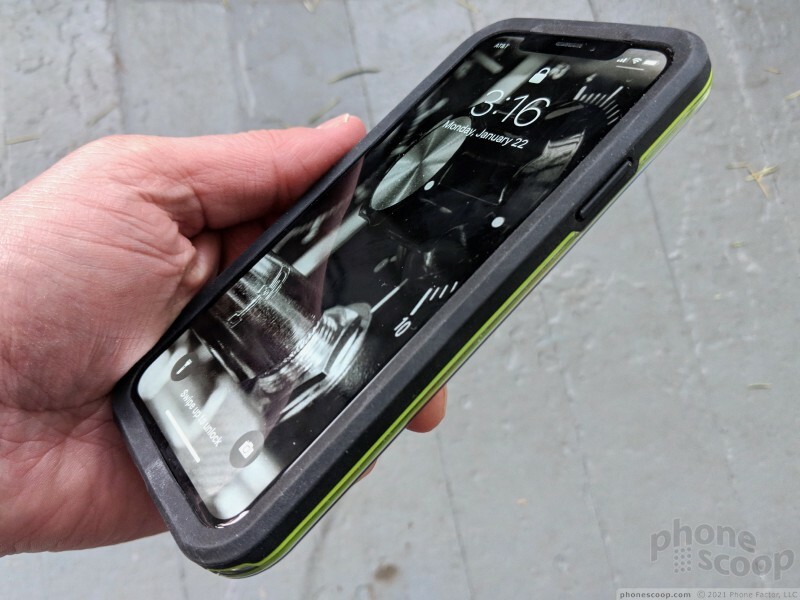 The Slam from Lifeproof is a two-piece case and it takes a bit of work to properly fit around the iPhone X. 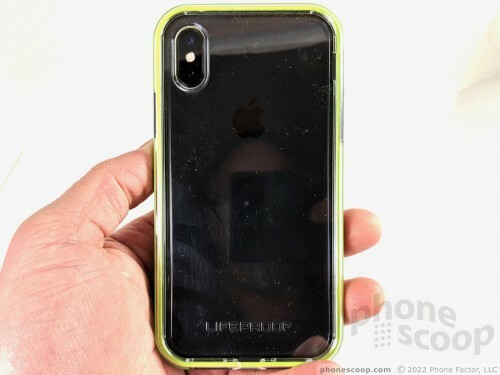 Unlike a one-piece case, you have to pull the case apart first, put the iPhone X in from the rear, and then affix the back panel. The front piece, a bumper of sorts, is substantial but not super chunky. The bumper itself is made from two components: a more rubbery front half and a somewhat stiffer plastic rear. The rubbery part provides impact protection, while the stiffer part provides a skeleton. 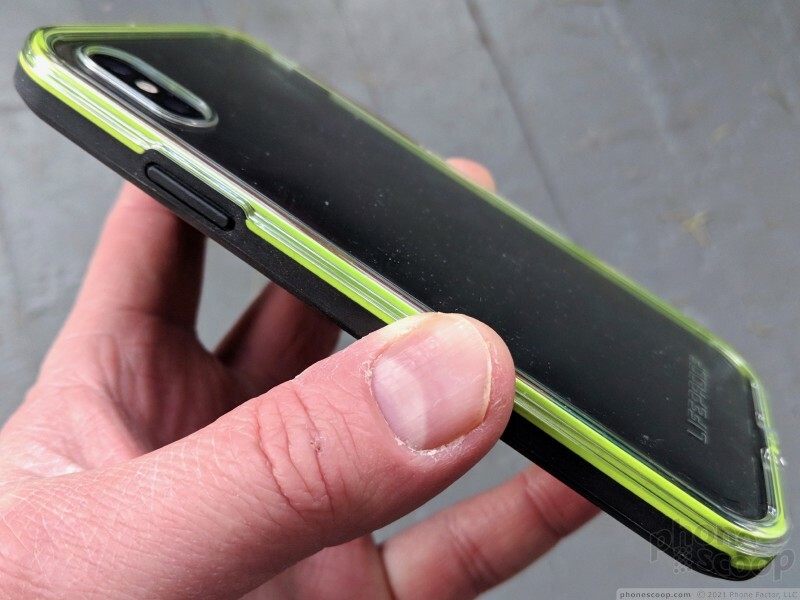 You won't see any ridges, cushions, or other impact absorption designs on the inside of the case. 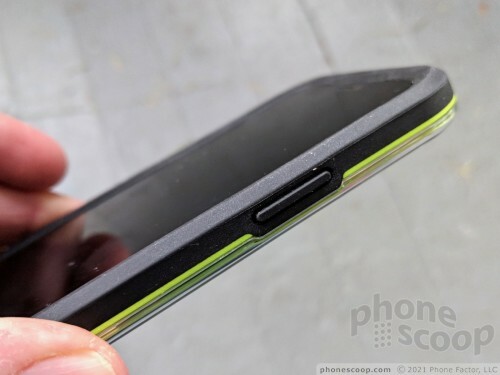 The phone fits into the front part easily; the bumper is snug without being too tight. Snapping on the rear panel, which is made of rigid, transparent plastic, tightens everything up even more. You have to work your fingers around the edge of the case and press firmly to ensure the rear piece fully attaches to the front. With the two pieces firmly mated, the Slam is a tight, cohesive unit. The case does get in the way of using the phone a little bit. First, the ringer switch. The cavity that provides access to the switch is way too deep. I keep my fingernails pretty short and I had trouble toggling the switch. If you have longer nails you'll probably be okay. Then there are the buttons. The screen lock button cover is amazingly stiff. It hardly travels at all. You have to press it very hard to activate the screen lock button. 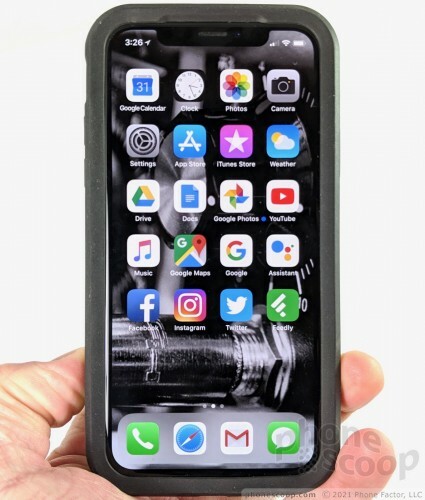 Given the iPhone X's unique interface — which mandates use of the screen lock key for a lot of actions — the stiffness of the button cover is annoying. Using the volume keys on the left side is even more difficult. I don't think I've ever encountered a case with such stiff button covers. The cavities that reveal the Lightning port and speakers are deep, but don't impact usability all that much. 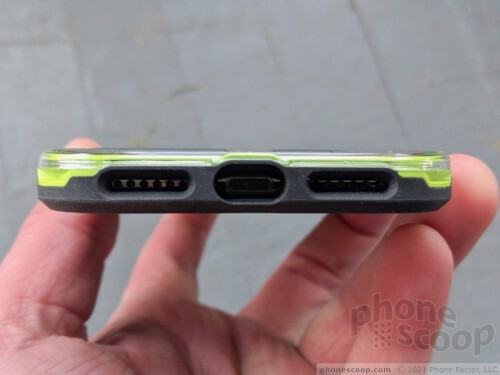 You won't have any trouble inserting a Lightning cable into the port, but most accessories that might hug the bottom edge of the iPhone don't work when the case on is. 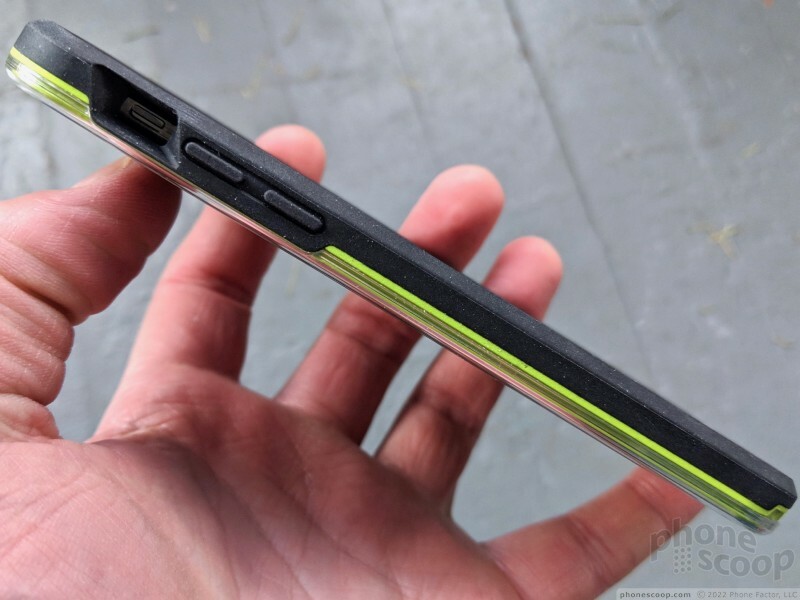 Importantly, the case does not interfere with wireless charging. 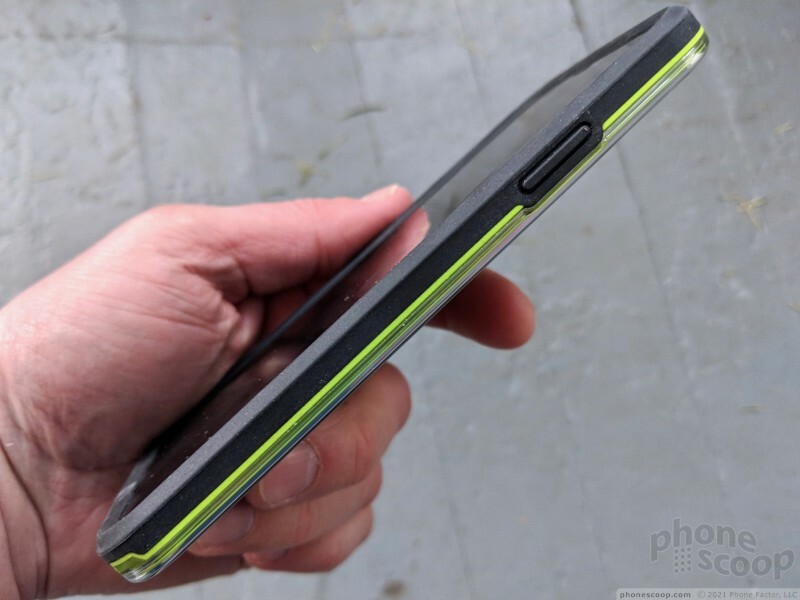 You can slap the case on and continue to use your favorite wireless charger without issue. The case adds bulk, to be sure. 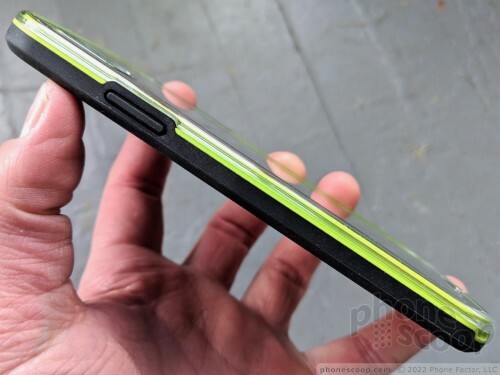 It adds 0.29 inches in height, 0.33 inches in width, and 0.13 inches in thickness. The weight goes up, too, by about 1.36 oz. The Slam comes in four color options: Black with green accents, pink with teal accents, gray with rust accents, and purple with pink accents. 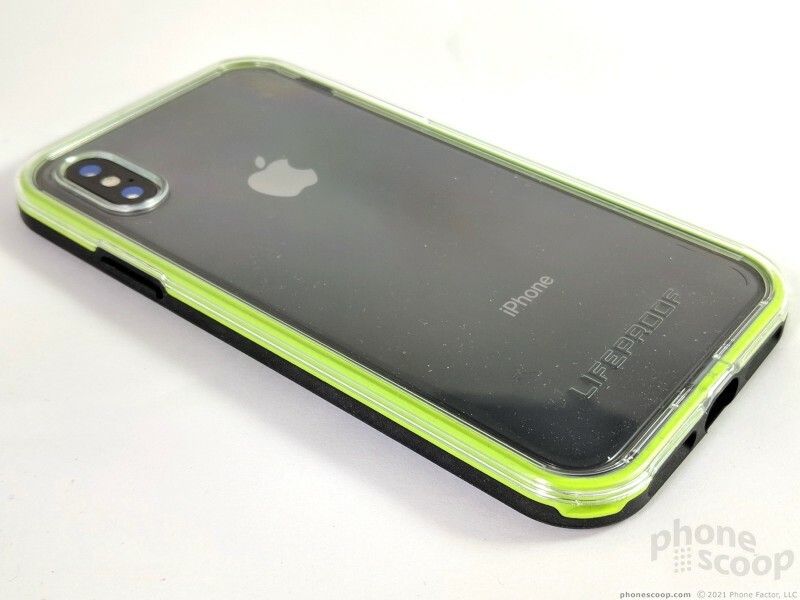 No matter which case you select, the rear panel is transparent so you can see the iPhone beneath. 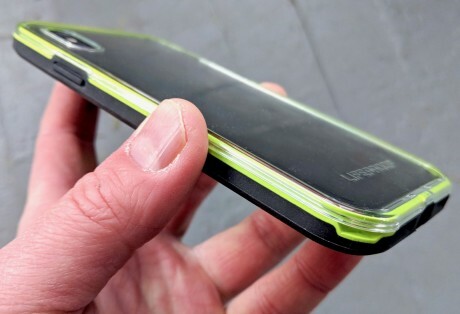 Lifeproof says the Slam's "pop of color around the perimeter [gives the case] its unmistakable urban air." I don't know about that, but I appreciate that the case offers contrasting tones. I like that the front of the case has a lip that frames the display. This rim protects the glass face when you set it down face-down. The same is true for the rear surface. 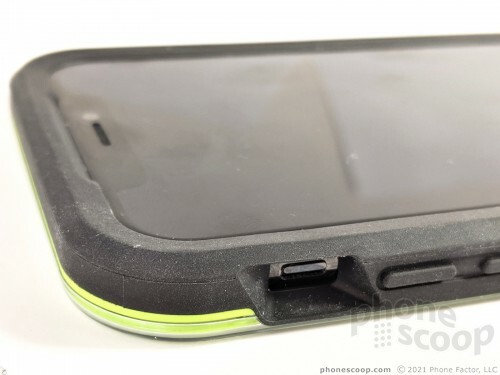 Lifeproof doesn't go into much detail concerning the Slam's materials, nor its testing methods. 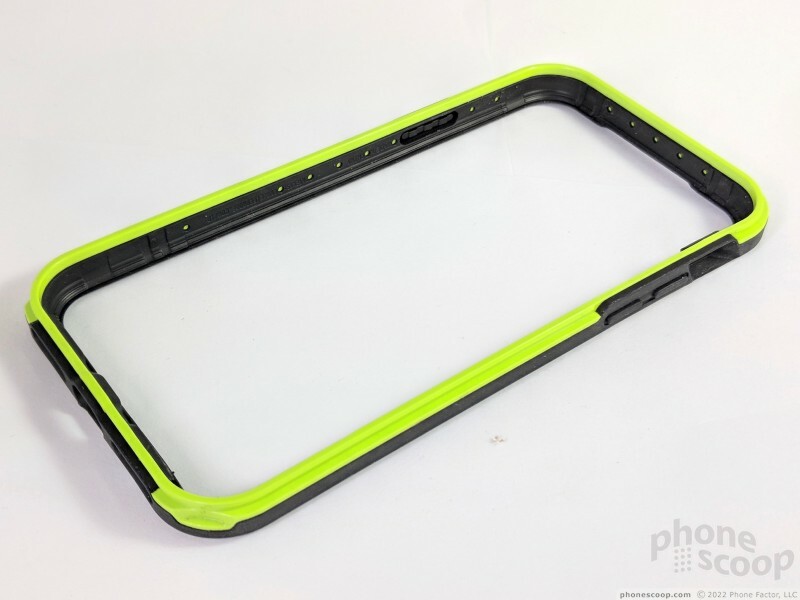 The company only says the case can handle drops from 2 meters, or 6.6 feet. That means most people should be able to drop the phone from above their head — let alone from their waist — and not risk damaging their iPhone X.
I tested the Slam by dropping it onto concrete, ceramic tile, wood flooring, grass, gravel, and carpeting. I performed most drops from waist height, with a few from shoulder height for good measure. The phone did not crack, break, or scratch when dropped. 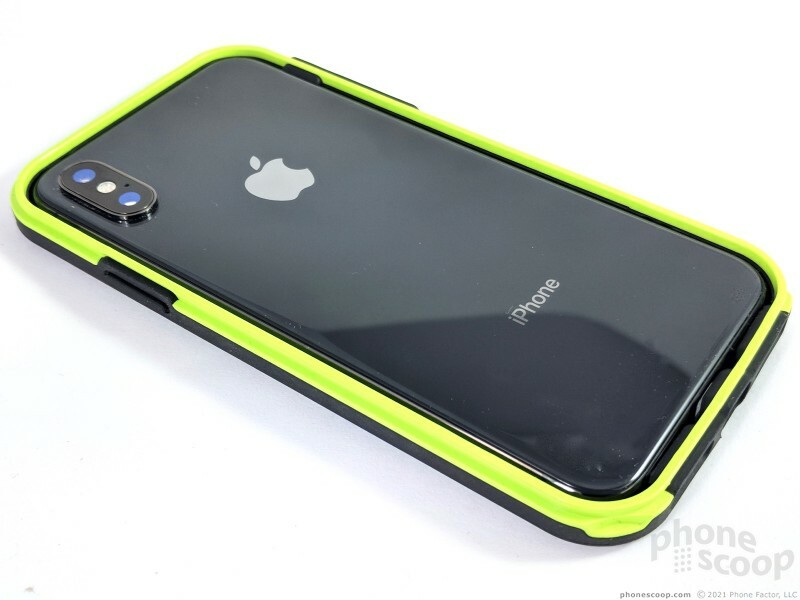 The Slam from Lifeproof is a decent case for the iPhone X. The most significant detractors are the stiff buttons and too-deep cavities for the ringer switch and Lighting port. These are hardly deal-breakers, though I feel compelled to mention them again. The Slam costs $50, which is near the maximum I think any case should cost. 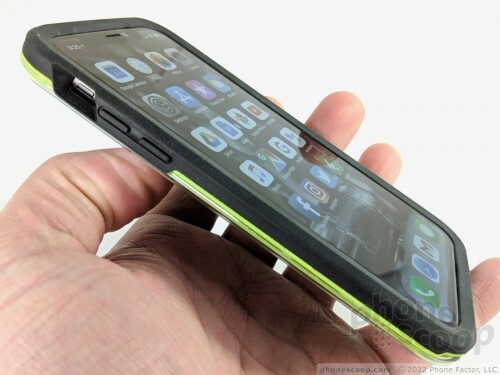 Similarly-priced cases from OtterBox might provide more overall protection, but at the expense of size and weight. 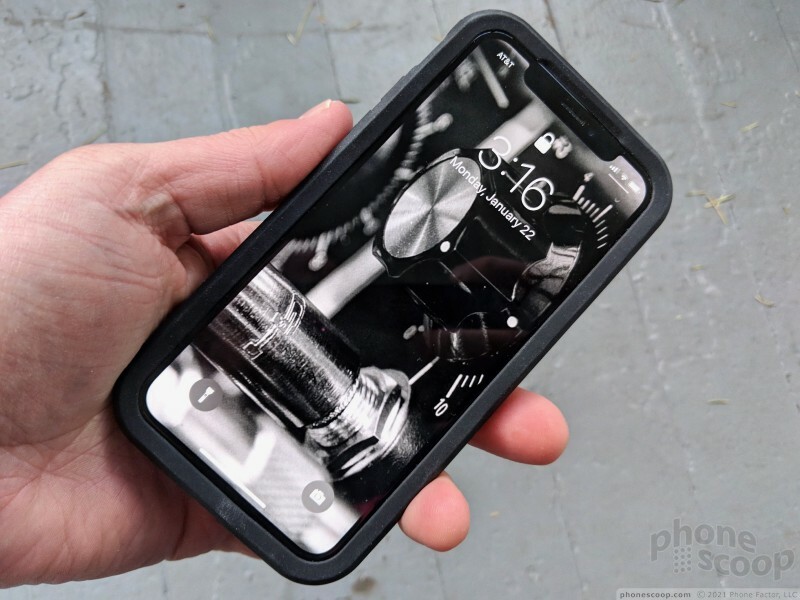 If you're looking for something that's relatively compact and comes in something other than simple black, the Slam from Lifeproof gives your phone a small amount of flair and solid protection from everyday drops.